Chakra maintenance is a large part of the awakening process, of toning down the control our ego has over our thoughts, feelings and actions. Having our chakras in balance is the aspiration, the aim, to be connected to the universal love frequency and maintain this connection through our daily life. So what are chakras and what do they do? 1. Chakras are the portals through which energy moves into and out of our system. 2. The heart chakra is also a transmuter of energy, it can clean negative energy. 3. 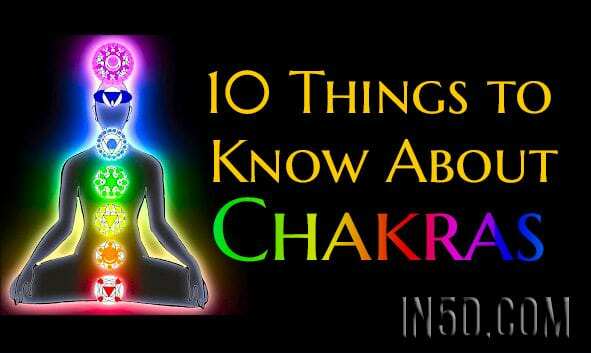 There are 7 main chakras with several smaller chakras around our bodies. 4. The root chakra is the deep stuff: past lives, ancestral karma, present life childhood trauma. 5. The sacral chakra is known as the pleasure zone, the short term fix, the creative center. 6. The solar plexus is the power house of our mind-body-soul system, our core strength. 7. The heart chakra is the centre of the universal love frequency, a washing machine for all our dark energy or the negative energy of others. 8. The throat chakra channels our communication, our ability to be our authentic selves. 9. Our third eye and crown chakras relate to connecting to the universe, seeing with our soul and expanding our consciousness. 10. Chakras can get blocked, energy can get stuck. They should be open and free allowing energy to move as when required for a balanced system. Our chakras are affected by our internal vibration and the frequencies we experience from external sources. Our own emotions generate our internal frequency and the emotions of others and how we interact with this also affects our chakras. By connecting to and directing the universal light love energy to our chakras we can clear and strengthen them. By asking our guides or directly requesting our body-mind-system to clear, strengthen and balance our chakras on a regular basis, in meditation, we can maintain a calm and steady approach to our daily life. Deeper work, like shadow work, which usually involves the root, sacral and solar plexus chakras requires more specific work. Talk therapy combined with energy therapies like reiki, acupuncture and yoga can help shift blockages in the root chakra or manage addictive behaviors residing in the sacral chakra. As we release stuck energy caused by stress, anxiety, fear and doubt in these lower chakras we can draw lighter stronger energy to our core, our solar plexus. Working on your core through strengthening exercises like pilates or swimming combined with regular meditation can improve the health of our solar plexus helping us to be more steady, attain stillness and release stress, panic or anxiety, fear and doubt in these lower chakras we can draw lighter stronger energy to our core, our solar plexus. Our heart and throat chakras relate to how authentic we are to our true selves, how connected we are to nature and the universal frequency of Oneness. Compassion, self care, humility and gratitude are all key to balancing and caring for these chakras and ultimately our own organic evolution. The third eye and crown chakras are about our connection to quantum expanded consciousness. To be open minded and able to see and hear the language of the universe, to give love, receive love and be love experiencing oneness. To have all chakras in balance is to attain non attachment whilst being fully integrated in the present. To be a truly hyperdimensional being we aspire to be grounded in this life, vibrating at the frequency of universal love and to be aware and moving between any and all other dimensional realities simultaneously. At this point you are probably a levitating light being floating in the cosmos whilst soaking up the akashic records and living many lifetimes simultaneously! So don’t worry if this is not you! This state of being may be hundreds of lifetimes away for some and just a few for others. Either way we are all on the same journey of self discovery, shadow excavation and heart led, soul growth. It’s important to recognise the unique time on this planet which is giving all souls here a rare fast track chance to release tonnes of heavier energy. As Gaia ascends to higher dimensions we too can piggy back her and use this opportunity to delve into deep shadow work and lighten our load considerably. The work is hard, the rewards incredible. You could say we are literally reaching for the stars! Check out my previous article ‘Awakening’ for more information on frequencies, healing therapies and quantum love. Much love and peace beautiful people. About the author: Born and raised in Glasgow I graduated with an MA in English & Politics, then spent time travelling in Australia. I came home to study, graduating with an MSC in Business Marketing Management. I followed this with a PGCE in English and taught for a year in Glasgow before moving to East London where I taught English and worked as a Head of Year for 14 years. After the birth of my second daughter I left teaching and have been a stay at home mum for three years. During this time I have led guided meditation groups, retrained as a reiki healer and started my Facebook page awakening5dhealing. I am clairvoyant and clairaudient; I’ve been reading tarot for 25 years. I have always instinctively understood that this world was being run by a small group of men. A recovering Catholic, I experienced my spiritual awakening after breaking my leg three years ago. The realization that quantum mechanics is oneness changed my life. I now write, work as a spiritual healer using reiki, crystals and Starseed Tarot Cards and take part in local healing festivals.